Let us make your holiday party a success! 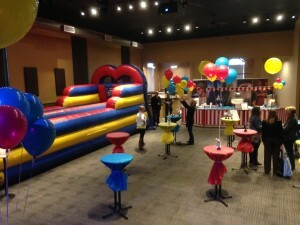 You can trust Game Craze to bring the fun for your holiday party! We have tons of indoor options to choose from that are perfect for everyone. Whether they’re sitting at the grown up OR kids table this holiday season, we have memorable activities for guests of every age! Call now to make us a holiday tradition. All prices include local delivery, setup and professional staff to monitor activities so you don’t have to! Save up to 15% with our multi item discounts. 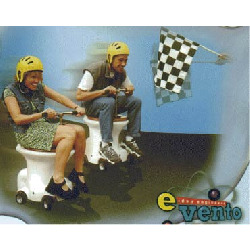 Go Racers – Our Go Racers will have your guests giggling with glee. Best if you have a flat open space to race, such as a warehouse or gym, but smaller spaces can be used for short races that still pack in the fun. If you have a large area (50′ x 100′ or larger) you can add an inflatable track for an impressive display. 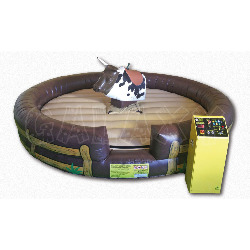 Mechanical Bull – That’s right, we’ll deliver, setup and operate a mechanical bull for your family get together, school event, or company party. It’s a ton of fun and our bull is the safest brand available, featuring an auto stop, cushioned soft head and flexible horns as well as an inflatable arena. We offer traditional photo booths, open air photo booths and two options for green screen video booths. All photo and video booths include a keepsake for your guests to take home (printed pictures or DVD video.) Prices start at just $349 for photo booths and $699 for video booths. Carnival Fun – Who doesn’t love a good carnival? We take the stress out of planning winter festivities by adding a professional looking, 20′ carnival run with up to 6 games (with prizes) and a bounce house. Starting at $999. 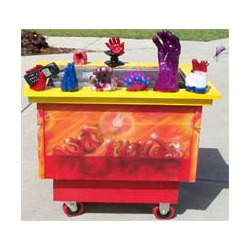 Add on cotton candy, popcorn, slushies and Sno-Kones for even more carnival fun. 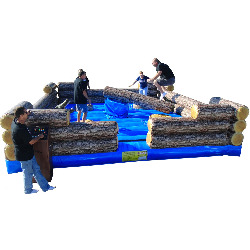 Provided that you have the space, all of our inflatables, games and rides can be setup indoors, including rock walls and euro bungees.